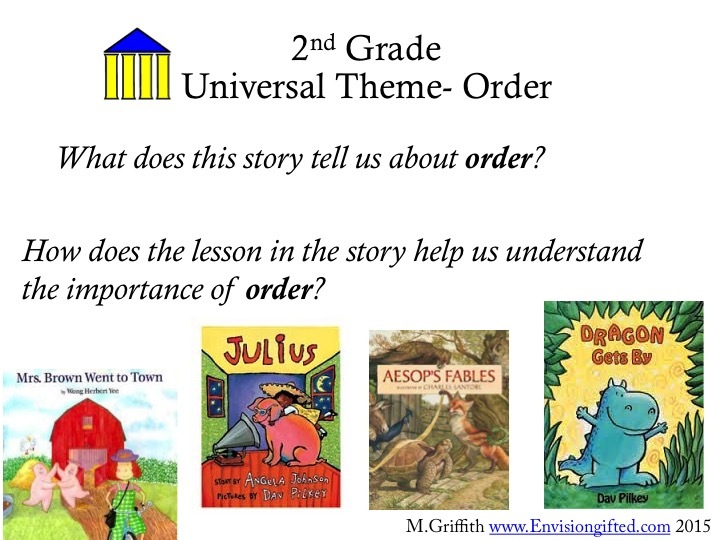 The Universal Theme Order is typically given to our younger students (Grades 1-2) however this theme is also very applicable to our older students. 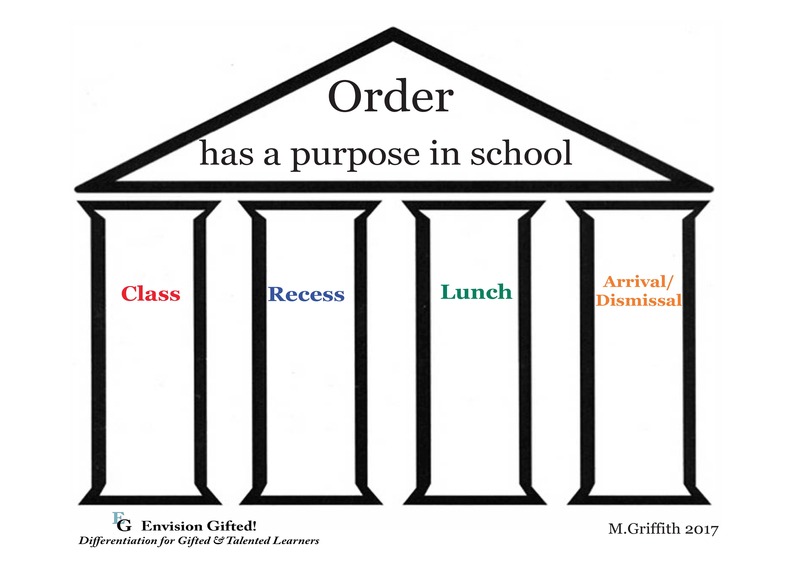 You can start the year by examining the need for order in our lives, in the classroom, etc. Where do we see order? Why is order necessary? Even our youngest students are able to address these questions. 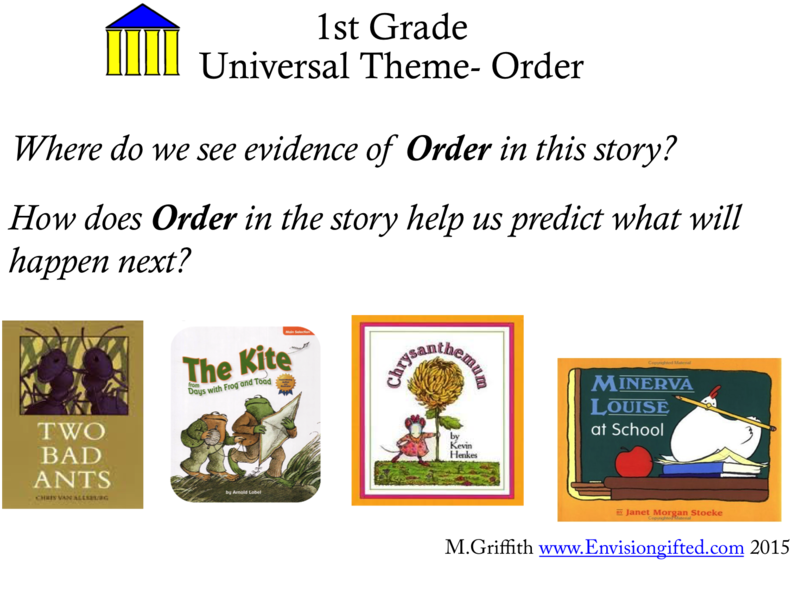 Below are some questions that can be integrated into a variety of stories throughout the year. Although they are tied to a grade level for the purposes here, there is no reason you can’t use them across grade levels. 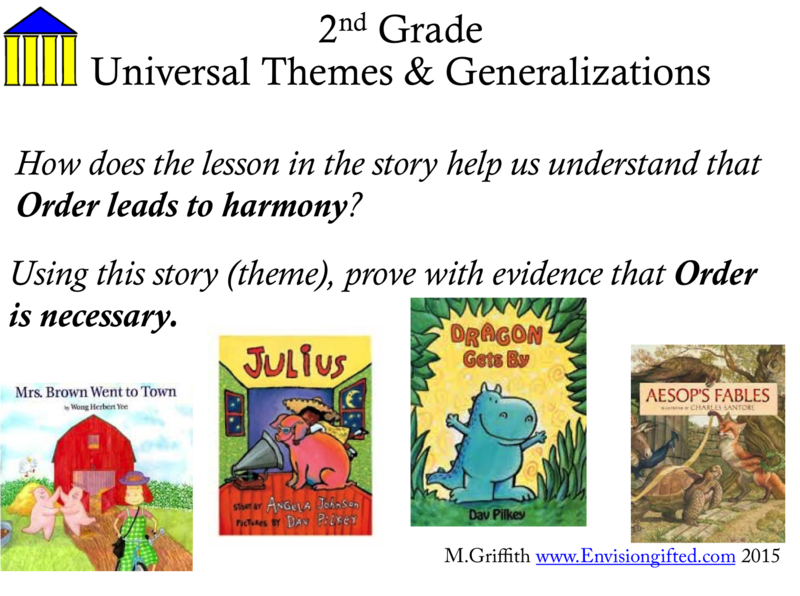 This is perfect for a multi-grade class, because both grade levels can use it with the story they are reading. 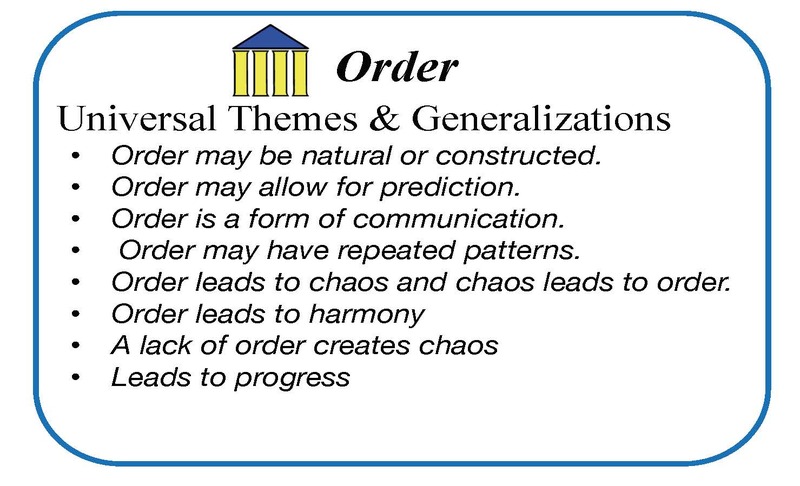 The Universal Theme Order is a great fit for math. 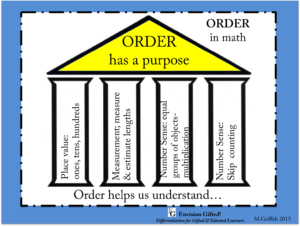 Consider how order helps us to better understand place value. When studying place value, what happens when we change the order of a number? Be sure to have students speaking like mathematicians and using the academic language to explain their thinking. 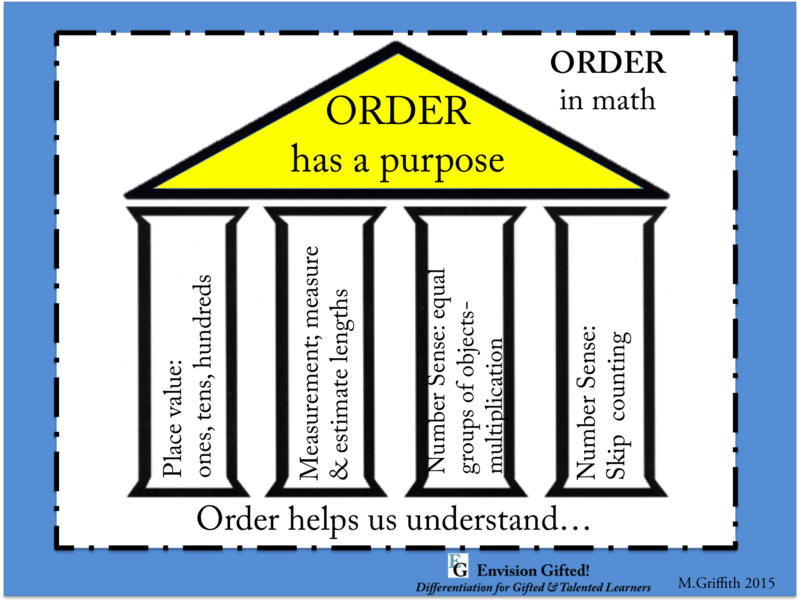 Universal Themes in Math- Order has a purpose.